Written for girls, ages 9-13, Corky Gives the Whole Scoop on the Facts of Life leads girls on a humorous and fact-filled journey about everything from pimples, bras and“fitting in” to menstruation and the basics of reproduction. Corky is a must have for any girl or family embarking on the “facts of life” topics. 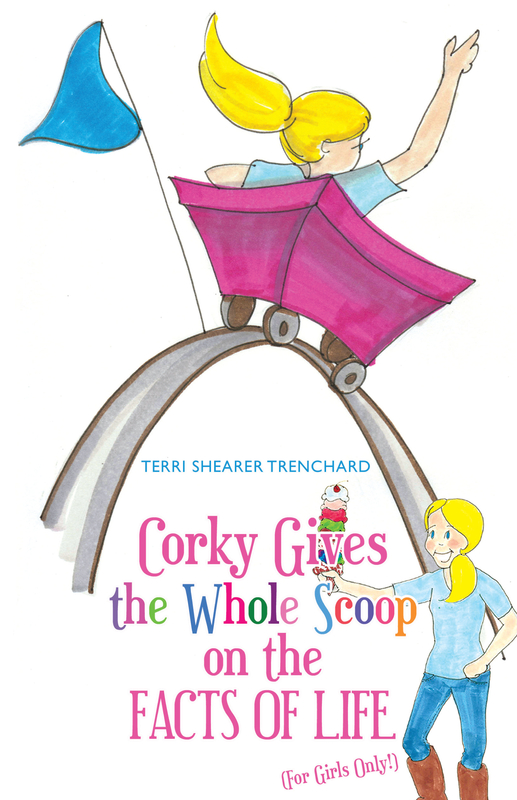 Told in a light-hearted and funny way, Corky will engage and empower girls with the awareness, knowledge and basic facts they need, while encouraging openness with their parents and caregivers. Through simple and interactive “scoops,” Corky helps girls understand the natural changes occurring in their bodies, while providing informative (and comforting) tips along the way. Corky Gives the Whole Scoop on the Facts of Life is the essential, all-inclusive source for what girls need to know, when they need to know it. Corky (and her Whole Scoop) is the follow-up book to Terri Shearer Trenchard’s previous book, Bork Reveals the Real Deal About the Facts of Life, which has been widely popular for 9-13 year old boys. Trenchard and her books have been featured in Maryland Family Magazine and Baltimore’s Child, while being endorsed by parents, educators, and pediatricians alike.